New Years Sale - Some of our best deals of the year. Create a bold contemporary style in your living room with the Kayson Collection by Coaster. Sturdy hardwood frames form the base, with sinuous springs and standard foam seats, and plush polyester fiber filled back cushions for support. Than you so much for sharing this really informative writing about home theater room chairs. 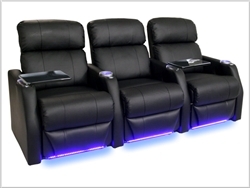 True to say- I really didn't know so much about home theater room chairs before reading this. Keep sharing this kind of interesting topics. In all places, we strive to be faithful to our call from God as found in the person Jesus Christ. We pray that you will find us a worthwhile stop on life's journey and that you will visit often to check up on our activities, special services, and opportunities for mission and ministry. When people are searching for a church, there are various things that they might be interested in. For some people, having a strong Sunday School is essential while their children are growing. For others, the music ministry must be professional. While others still, place their emphasis on preaching. Theirs slogun ig :"We may not have exactly what you want, but we might have what you need. We have the love of God in our hearts". Well.. try everything in your's life: http://camsdesire.com/.